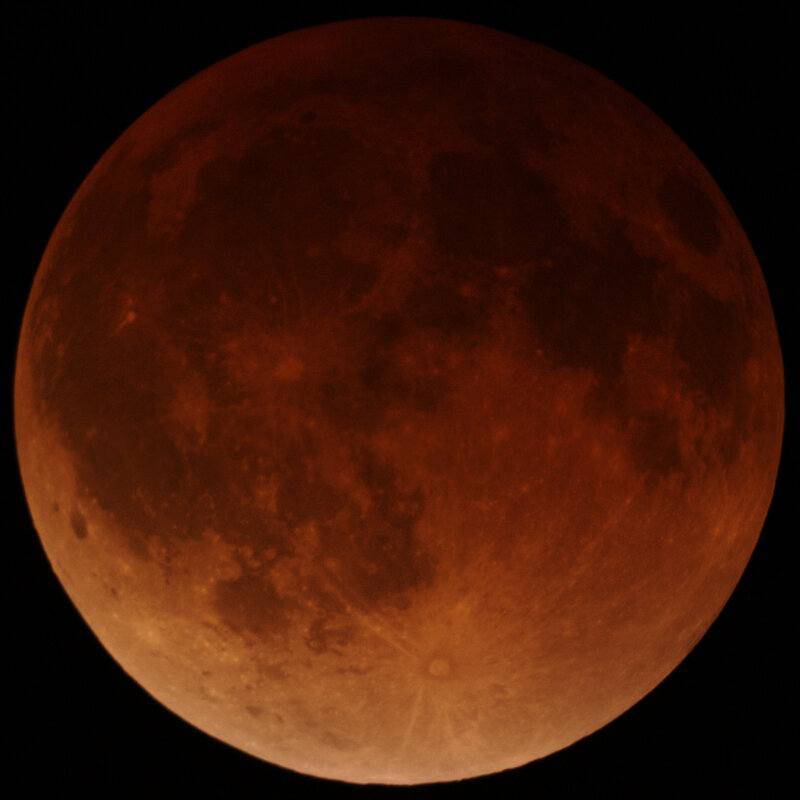 Combined image twenty mintues after the midpoint of the Lunar Eclipse of 2014.4.15. Also featured on the A&M Observatory homepage. Processed in UFRaw and the GIMP.